Sandal time is here again and my feet shall rejoice. The toes that have been kept hidden away in socks and boots are now being re-introduced to the world. They have been kept from daylight but now they are free to take the sun once again. Now, dancy feet are not always pretty feet. They get blisters and bruises and have unsightly, unmentionable issues. 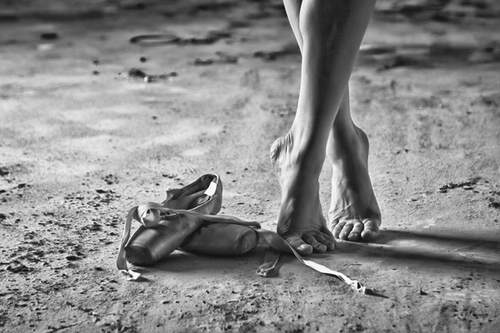 Even if you have the most damaged ballerina feet I still urge you to expose the toes! Your dancer feet take a beating and they now deserve to be taken out. Take them to the beach. Dip them in the water. Squish them in the sand and walk them in the grass. They need a little fresh air. To all of the dancified toes and feet out there..